A small amount of WD-40 sprayed over your accessories can help them look as new as the day you got them. With WD-40, the ingredients act as a solution to avoid dirt and salt spots that can build up over time, and can actually turn your shoes waterproof! Oh no! You’ve only gone and stepped in chewing gum in your brand new shoes. Now you’re stuck with a stick all afternoon. Once considered the kiss of death for shoes, WD-40 can be used to help soften the nuisance, in the same way it protects your shoe from salts. If you ever run out of conventional toilet spray to wash down the bowl, you can always grab a can of WD-40 and apply it how you usually would. In fact, it can be shown as more effective than regular toilet bowl cleaners – studies suggest it cleaners quicker and will last longer. Whip out your WD-40 and lightly sprayed over the ‘art’ and restore the wall back to normal. In the same way it prevents water and ice on shoes, the same wonder-spray can be used on windows to avoid those annoying stains often found in showers. Just incorporate this trick into your usual cleaning routine and watch the stains disappear. It makes sense that WD-40 would be used to clean scissors due to its ability to restore silver, but it’s an easy thing to forget! Next time you think of replacing your sticky scissors, just squirt a little spray on them and watch how they recover. With its knack for softening textures, it’s no wonder people apply WD-40 to stickers and price tags that stubbornly won’t leave your car or bottle of wine. There’s nothing worse than turning up to a dinner party with a ripped label, so don’t. It’s that simple. WD-40 works wonders on zips that refuse to move. What can be more annoying than your bag failing to carry your items by not closing? Or your trousers that have an embarrassing fault? Apply some spray and watch them switch back into action. If you’ve ever spilled your hot drink, you can understand how frustrating it is to try to remove the stain. You know what works well to help remove this pain? Yup, you guessed it. WD-40 will remove the stains from most surfaces when incorporated in your cleaning routine. In the unfortunate event you might have to take a ring off your finger after a long time, you could find a little resistance both physically and emotionally. Thankfully, WD-40 can help slide that ring right off your finger. Success! If you ever find a treasure chest in the water, you might be disappointed to see the padlock protecting its jewels has turned to rust. With WD-40, you’ll be able to gain access to your new fortune by easily applying it to the problematic area. If you’re cleaning the window glass, try reach for the higher spots and apply some WD-40 on the shower head. The spray can extend the life of the shower head and break down grease and rust. No one wants mildew in their fridge! The uninvited kitchen guest looks and feels terrible. Apply some WD-40 during your fridge clean and it will look good as new after only a few minutes. This one may feel a bit dark, but you’ll be thankful you know this tip if your young child falls down and cuts his/her knee. Applying light amounts of WD-40 to the piece of clothing affected by blood marks can quickly remove any lasting effects. Have you just come back from a messy round on the golf course? Make sure you rub your irons in a quick fashion to get rid of any liquid that may cause rust or dirt that could stain. By doing it soon after your game, you’ll be sure to extend the lifeline of your set. Over time, the strings on your piano may loosen or tighten, which will affect the pitch and tone of your music. When applying some WD-40, it will keep them smooth. Now it’s just your voice you’ll need to fix! Animals can’t climb up trash cans if they’re slippery! 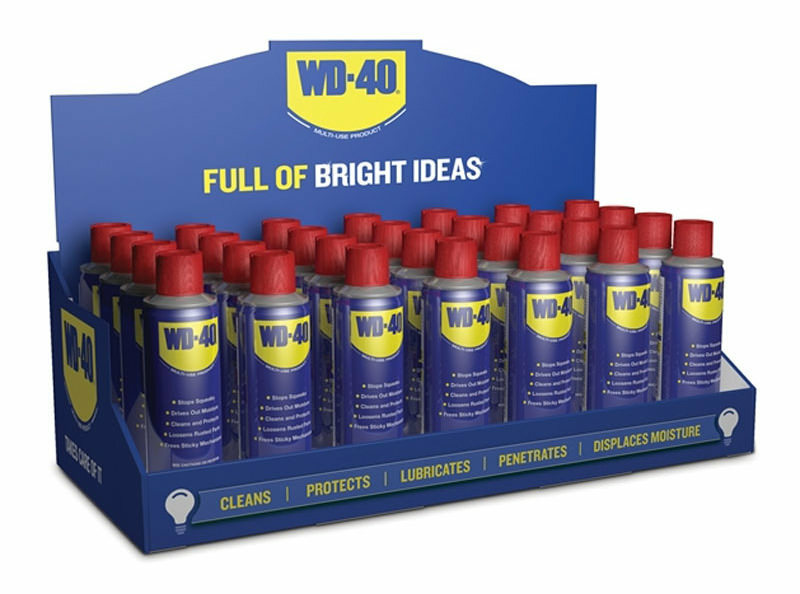 Good thing WD-40 is designed to be long lasting on plastics and tin materials – making them unable to rummage in your rubbish. Success! Next time you find yourself wanting to remove your fingerprints from some items or locations, feel free to spray a little WD-40 onto where you want to remove evidence. Did we say remove evidence? We meant clean. But yeah, we don’t want to know why you want to do this. There aren’t many things that are appropriate to use when cleaning your fancy leather sofa. Thankfully, WD-40 is one of them due to its ability to smoothen and lubricate the fabric. Sick of that door squeaking every time you walk in and out of a room? Don’t forget you can use WD-40 for one of its most popular purposes – silencing those pesky doors! Wasps absolutely hate the scent of WD-40, so if you find yourself in an area which attracts the bug, it will never hurt to spray some in some corners. They will keep well aware, and you will avoid their painful sting. If you thought you could get away without using gloves when applying strong glue, then silly you! No problem, however, because WD-40 can help the sticky mess slip right off. After a busy night hosting your friends at home, you may be faced with an over-filled ashtray with disgusting buds. Thankfully, WD-40 can remove the ash and lighten the burn marks, helping you reuse your smoke box. If you have a house full of children, you may see some lego around the house. If you haven’t seen them, then you’ve definitely stepped on them a few times. If two pieces ever get stuck together, you can always use our trusted friend WD-40 to unstick them. Your kids will thank you. But they’ll also be able to leave more pieces around the house. Next time you see an unwanted houseguest in your home, spray some WD-40 on it. Turns out, it can act as a repellent to cockroaches and insects that might find themselves in your home. Make sure to spray it in the corners that attract the most amount of bugs – like cracks, pipes, gaps, or window frames. Before long, you’ll be left alone at night. Ugly scuff marks can easily appear on kitchen or bathroom floors, causing a headache for homeowners everywhere. Our trusted friend WD-40 can help remove tar and scuff marks of hard-surfaced floors. You might want to open a window if you’re doing a deep clean – it can get smelly there! No tool lasts forever. Eventually, our hammers, screwdrivers, or sanders all succumb to chips and rust. With WD-40, you can easily prolong the life of your tools by moisturizing them and also keeping them splinter-free! After a few grills, your barbeque grill might appear dirty and rusted. Your friends might appreciate an invite to your home over the weekend, but they won’t like burgers grilled on gross grills. Before your guests arrive, spray some magic WD-40 on the grill and wipe it down. You’ll be looking at a brand new grill after only a few seconds. 5) Put some WD40 in your door locks and window hinges, to ensure that the mechanisms will work freely throughout the winter. 6) Chang the batteries in smoke alarms and carbon monoxide alarms, and test. 7) Carry out any external repairs to the house, before it gets too cold. 8) Secure all sheds and outhouses with locks, before the shorter days set in. 10) Stockpile some essentials: tinned food, drinking water, warm clothing and toilet paper (just in case you get snowed in). 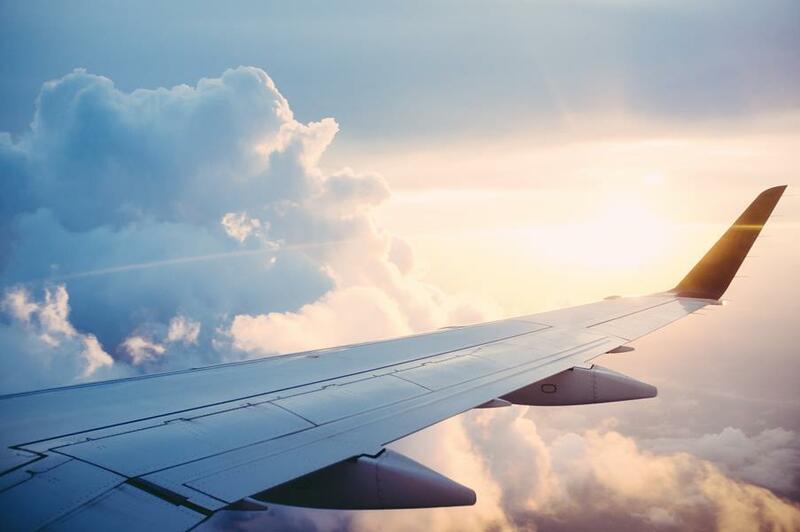 The summer holidays are here, you may be preparing to travel this summer, you will more than likely have a lot of packing to do and things to sort out for while you are away. Something that people often forget about is keeping their home secure while they are on holiday. If you leave your home unattended for long periods it may become a target for burglary. But there are a number of ways that you can secure your home while you are away on your holidays. Here we have a shortlist of top things you can do to help keep your home safe this summer. If you are leaving your home for an extended period then you will want to think about how it looks to the outsider. 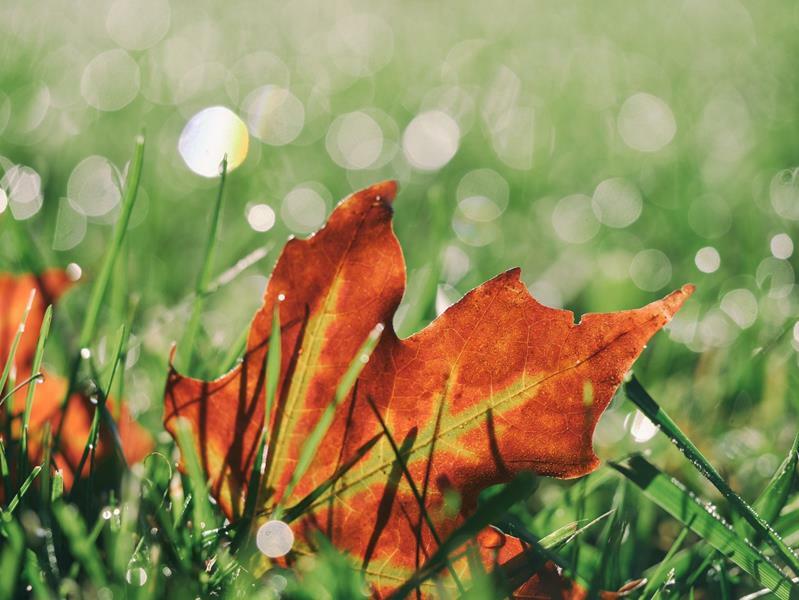 If your lawn is already overgrown when you are getting ready to leave then you should make sure you mow it so that your garden looks maintained. Make sure that you leave your blinds and curtains open, as closed curtains during the day are the biggest tell-tale sign nobody is home. Make sure that you keep valuables out of sight so any potential burglars are not tempted to break into your home. If you have a neighbour that you get on with then you should ask them to keep an eye on your home. You can also ask them if they would be willing to remove any post or leaflets that are not out of sight and are on display. You might have waste collection while you are away so you can ask a neighbour if they would bring your bins in from the roadside. Getting your neighbour to look out for your home can be a great way to make sure that it is secure while you are away. It is important that you don’t broadcast the fact that you are on holiday to all of your friends and family, as they may also mention this to someone else. Another thing that you might want to avoid is publishing posts and photos on social media. By sharing loads of posts about your holiday you are alerting people to the fact that your home is sat empty. It might be best to try and post pictures on social media a few days before you leave or when you get home. If you must leave valuables at home don’t leave them where they can be seen through a window. Avoid obvious hiding places such as a drawer, in a fake food can or in the freezer. Your best bet is not to leave anything you would hate to lose in the house at all, in order to save most of your treasure, your second-best bet is to distribute it around several locations that are difficult to reach, and leave a pile of money and some inexpensive items in a more obvious place. Your intruder might be encouraged to leave after finding your fake hoard rather than ripping the house apart in the hope of finding the real deal. By following these tips you can help to keep your home secure while you are on holiday. Although it is unlikely your home will be broken into, it doesn’t hurt to be safe and take precautions. This should also give you peace of mind and stop you from worrying about your home while you are away on holiday. 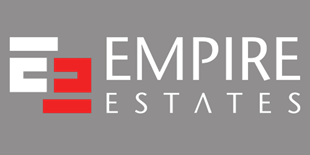 EMPIRE ESTATES PROUDLY SUPPORTING OUR BOYS! 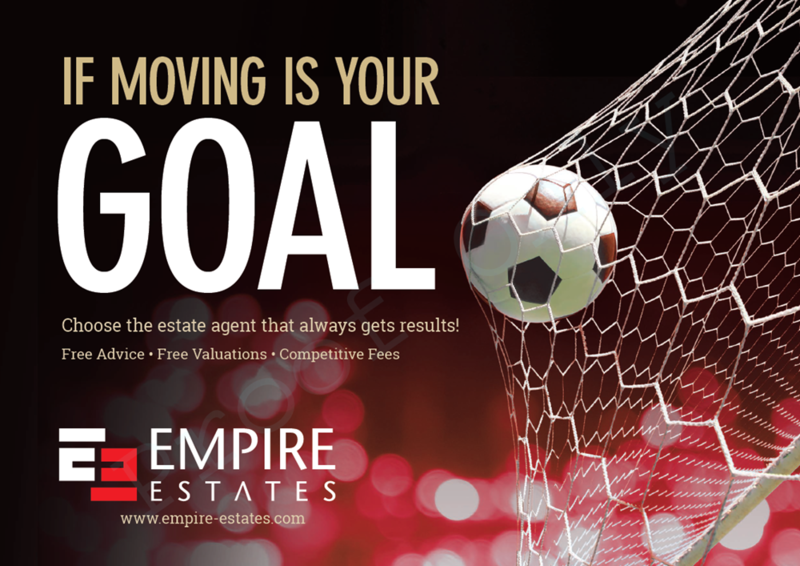 If your goal is to move home this summer, why don't you let us give it a shot! 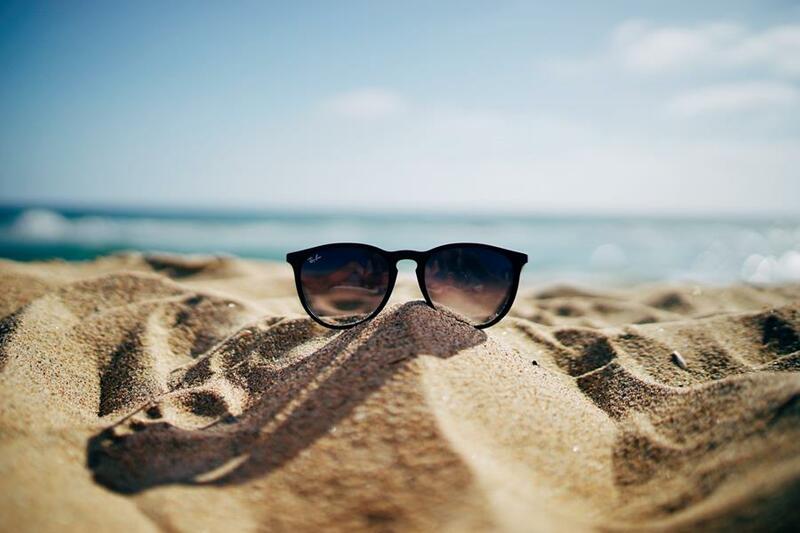 The weather forecast has predicted that there is going to be a heatwave and that we are set to see temperatures in the region of 30°C from Monday onwards. With this in mind we have compiled this shortlist of tips and tricks to help you stay cool. There are lots of fans on the market, from elegant floor-standing models to tiny desk-tops, but they tend to disappear quickly from DIY stores when the weather gets hot, so nab yours early. Check whether the fan oscillates – useful for keeping air moving – and how many speed settings it has. A lower speed is perfect for night-time - you don’t want to wake up with a stiff neck. We all know we lose heat through our windows in winter, but we also gain it through our windows in summer, and particularly those that face the south and the west. Track the sun throughout the day, opening and closing curtains and blinds to prevent the sun coming in as it moves around the house. This can lower the temperature indoors dramatically. Once the sun has moved away, open windows and doors wide and let any breeze there is flow in. Create a cross breeze by placing a fan opposite the window. Incandescent lights give off a lot of heat, so turn off lights when not in use. Use the washing machine, dishwasher, hob and oven during the cooler parts of the day. One of the biggest changes to UK Data Privacy Law comes into effect today and this affects all companies including Empire Estates. The European General Data Protection Regulation (GDPR) is a new piece of legislation which amends the existing Data Protection Act 1998, changing the law around how organisations can process the personal information of customers. It comes into force on 25 May 2018. Any company that processes personal data must comply with the new legislation, these changes affect you. GDPR is a really positive step towards you having more control over how your personal data is used and how your privacy is protected. 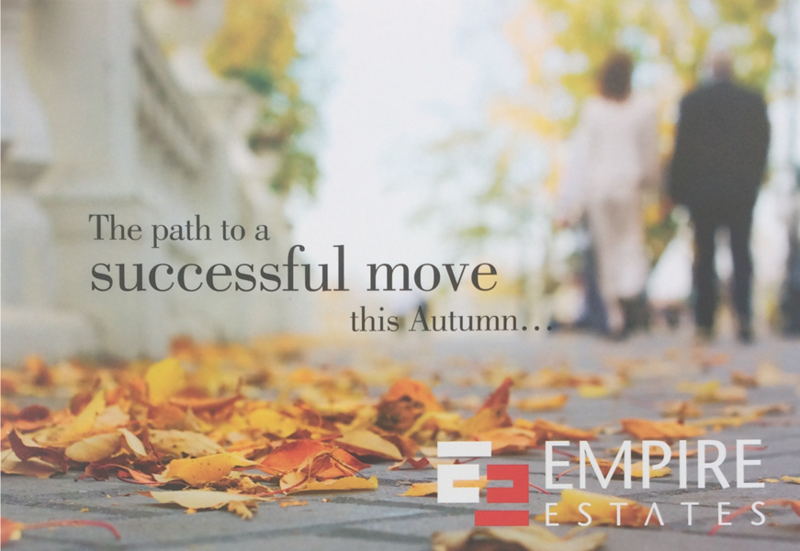 If at any time you wish to stop receiving marketing information from us, you can notify us via the instructions detailed in the marketing information you have received, by contacting us or by emailing our dedicated inbox at gdpr@empire-estates.com. With hacks, scams, malware and more, the Internet can feel like a dangerous place these days. But the good news is that by taking just a small handful of security measures we can greatly reduce our exposure to all these threats. We know you’ve heard it before, but creating strong, unique passwords for all your critical accounts really is the best way to keep your personal and financial information safe. This is especially true in the era of widespread corporate hacks, where one database breach can reveal tens of thousands of user passwords. If you reuse your passwords, a hacker can take the leaked data from one attack and use it to login to your other accounts. Our best advice: use a password manager to help you store and create strong passwords for all of your accounts. It is recommended that you should try to change you passwords on a monthly basis, or at least once every 6 months. 2. Boost Your Network Security. Now that your logins are safer, make sure that your connections are secure. When at home or work, you probably use a password-protected router that encrypts your data. But, when you’re on the road, you might be tempted to use free, public Wi-Fi. The problem with public Wi-Fi is that it is often unsecured. This means it’s relatively easy for a hacker to access your device or information. That’s why you should consider investing in a Virtual Private Network (VPN). A VPN is a piece of software that creates a secure connection over the internet, so you can safely connect from anywhere. 3. Use a Firewall. Even if your network is secure, you should still use a firewall. This an electronic barrier that blocks unauthorized access to your computers and devices, and is often included with comprehensive security software. 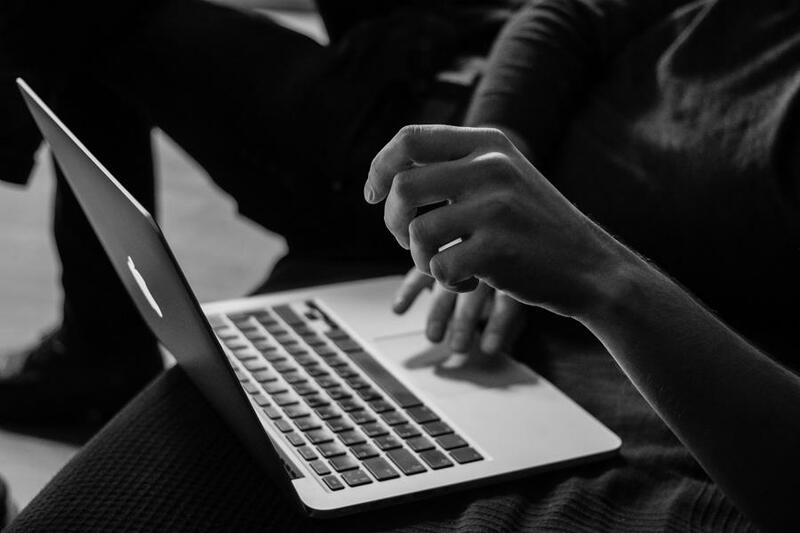 Using a firewall ensures that all of the devices connected to your network are secured, including Internet of Things (IoT) devices like smart thermostats and webcams. This is important since many IoT devices aren’t equipped with security measures, giving hackers a vulnerable point of entry to your entire network. 4. Click Smart. Now that you’ve put smart tech measures into place, make sure that you don’t invite danger with careless clicking. Many of today’s online threats are based on phishing or social engineering. This is when you are tricked into revealing personal or sensitive information for fraudulent purposes. 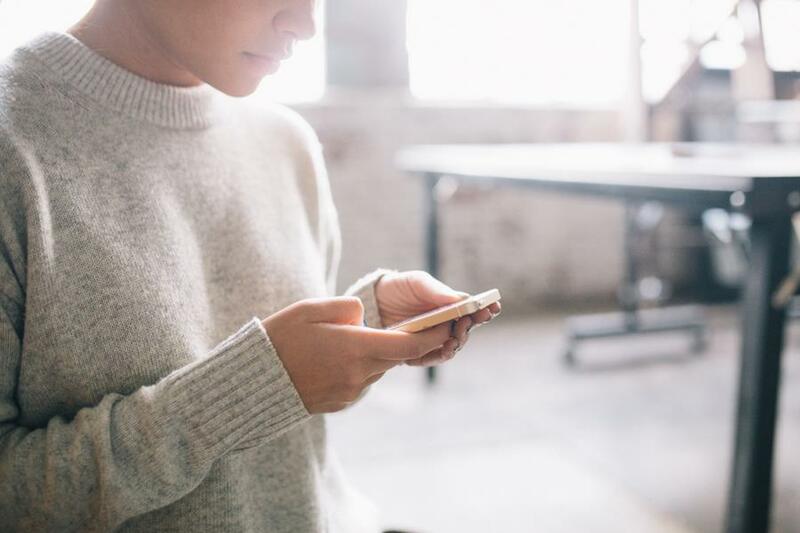 Spam emails, phony “free” offers, click bait, online quizzes and more all use these tactics to entice you to click on dangerous links or give up your personal information. Always be wary of offers that sound too good to be true, or ask for too much information. 5. Be a Selective Sharer. These days, there are a lot of opportunities to share our personal information online. Just be cautious about what you share, particularly when it comes to your identity information. This can potentially be used to impersonate you, or guess your passwords and logins. 6. Protect Your Mobile Life. Our mobile devices can be just as vulnerable to online threats as our laptops. In fact, mobile devices face new risks, such as risky apps and dangerous links sent by text message. Be careful where you click, don’t respond to messages from strangers, and only download apps from official app stores after reading other users’ reviews first. Make sure that your security software is enabled on your mobile, just like your computers and other devices. 7. Practice Safe Surfing & Shopping. When shopping online, or visiting websites for online banking or other sensitive transactions, always make sure that the site’s address starts with “https”, instead of just “http”, and has a padlock icon in the URL field. This indicates that the website is secure and uses encryption to scramble your data so it can’t be intercepted by others. 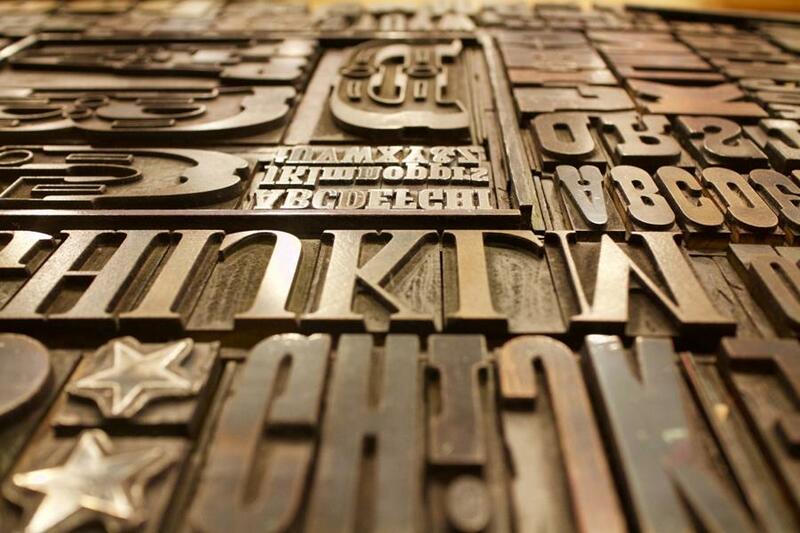 Also, be on the lookout for websites that have misspellings or bad grammar in their addresses. They could be copycats of legitimate websites. Use a safe search tool such as 'McAfee SiteAdvisor' to steer clear of risky sites. 8. Keep your guard up. Always be cautious about what you do online, which sites you visit, and what you share. Use comprehensive security software, and make sure to backup your data on a regular basis in case something goes wrong. By taking preventative measures, you can save yourself from headaches later on. 9. Lookout for the latest scams. Online threats are evolving all the time, so make sure you know what to look out for. Currently, “ransomware” is on the rise. This is when a hacker threatens to lock you out of all of your files unless you agree to pay a ransom. Stay on top of this and other threats by staying informed. 10. Keep up to date. Keep all your software updated so you have the latest security patches. Turn on automatic updates so you don’t have to think about it, and make sure that your security software is set to run regular scans. Step 1. Alert family members that you will be testing the alarm. 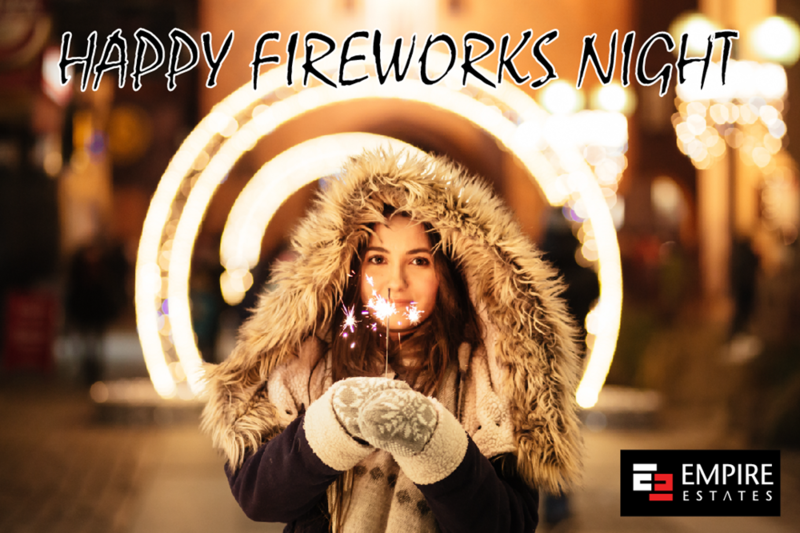 Smoke detectors have a high-pitched alarm that may frighten small children, so you’ll want to let everyone know you plan to test the alarms to help avoid frightening anyone. Step 2. Station a family member at the furthest point away from the alarm in your home. 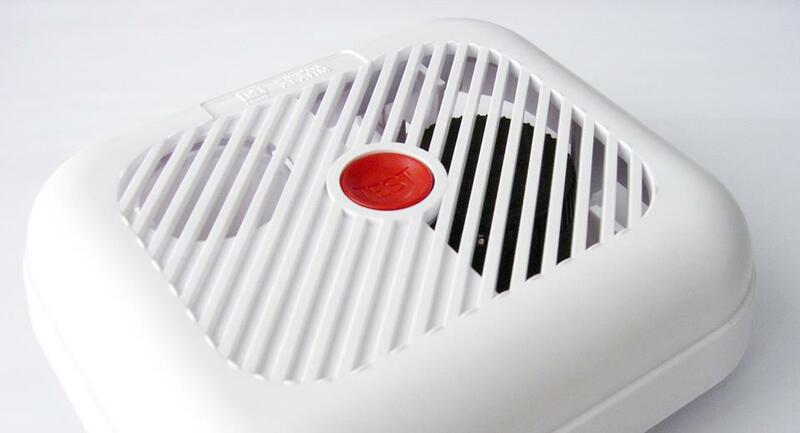 This can be critical to help make sure the alarm can be heard everywhere in your home. Smoke detectors can be a great way to help keep your family safe, but assuming they are working may lead to a dangerous situation. Taking a few minutes to check them regularly can help ensure they’re working properly. Why Do I Need To Test My Smoke Alarms? How Often Should I Check Them? Hardwired: These detectors are powered by your home electrical system, but they usually have back-up batteries so the device can remain operational in a power outage. Hardwired smoke detectors still require monthly testing to help ensure that both batteries and parts are functioning properly. Use a hot-water bottle to warm the bed. The cold weather can affect different members of the community in different ways, some are more vulnerable to the elements than others, especially the elderly who are prone to hypothermia and pneumonia in cold weather. Be even more vigilant during the period of severe weather, and to keep an eye out for people who may be vulnerable. Try to call in regularly on friends, neighbours and relatives to see if they need help staying warm or getting provisions. 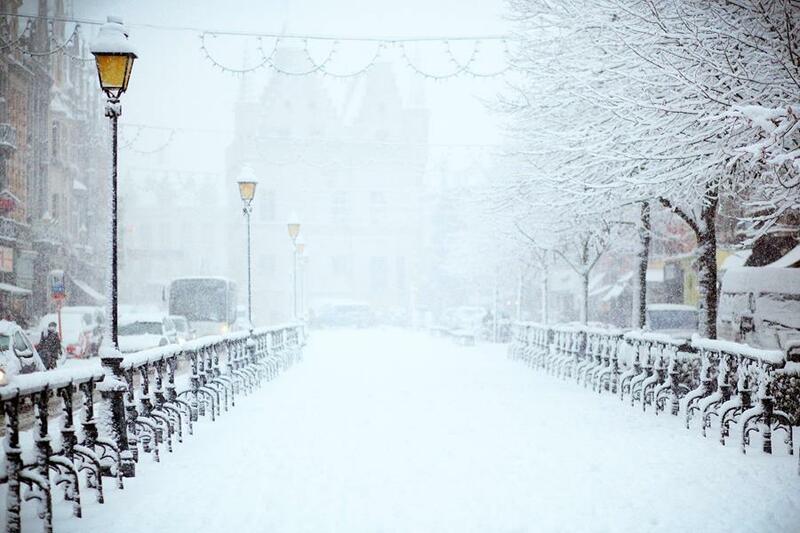 Offer to clear your neighbours’ paths & check that any elderly or disabled neighbours are alright in the cold weather. - The government will permanently raise the price at which a property becomes liable for SDLT to £300,000 for first time buyers to help young people buy their first home. The relief will not apply for purchases of properties worth over £500,000. - In 2018-19, the Personal Allowance and Higher Rate Threshold will increase further, to £11,850 and £46,350 respectively. - From April 2018, there will be no benefit in kind charge on electricity that employers provide to charge employees’ electric vehicles. - The 30-day payment window for Capital Gains Tax will be deferred until April 2020. - The band of savings income that is subject to the 0% starting rate will be kept at its current level of £5,000 for 2018-19. - The ISA annual subscription limit for 2018-19 will remain unchanged at £20,000. - The limit for Junior ISAs and Child Trust Funds will be uprated in line with CPR to £4,260. - The lifetime allowance for pension savings will increase to £1,030,000 for 2018-19. - The R&D expenditure credit will increase from 11% to 12% for larger companies. - From 1 April 2018, the planned switch in indexation for property tax will change from RPI to CPI. - The £1,000 business rate discount for public houses with a rateable value of up to £100,000 will continue. - Revaluations of non-domestic properties will move to every three years following the next revaluation, currently due in 2022. - All gains on non-resident disposals of UK property will be brought within the scope of UK tax. - Corporate indexation allowance capital gains will be frozen from 1 January 2018. - From April 2020, income that non-resident companies receive from UK property will be chargeable to corporation tax rather than income tax. - From April 2019, withholding tax obligations will be extended to royalty payments and payments for certain other rights, made to low or no tax jurisdictions in connection with sales to UK customers. - The government will amend the Substantial Shareholding Exemption legislation and the Share Reconstruction rules to avoid unintended chargeable gains being triggered. - Tax rules which apply to arrangements involving hybrid structures and instruments will be amended to clarify how and when the rules apply. - VAT registration threshold will remain at the current level of £85,000 for two years from April 2018. - Further steps taken in the Budget to tackle tax evasion, avoidance, and compliance are forecast to raise £4.8 billion between now and 2022-23. - Offshore tax time limits for non-deliberate offshore tax non-compliance assessments will be extended so that HMRC can always assess at least 12 years of back taxes. - The government will introduce a VAT domestic reverse charge to prevent VAT losses. - HMRC will require upfront security from employers with a history of avoiding paying NICs. This will take effect from 2018 and generate up to £15 million a year. - The Intangible Fixed Asset rules will be updated with immediate effect, so that a licence between a company and a related party in respect of intellectual property is subject to the market value rule. - The government will remove the 6-year time limit within which companies must adjust for transactions that have reduced the value of shares being disposed of in a group company. - The government will remove transitional commencement provisions immediately. - A restriction will be introduced immediately to the relief for foreign tax incurred by an overseas branch of a company, where the company has already received relief overseas for the losses of the branch against profits other than those of the branch. 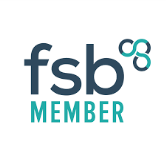 - The government will legislate in Finance Bill 2017-18 to extend HMRC’s powers to hold online marketplaces Jointly and Severally Liable (JSL) for the unpaid VAT of overseas traders on their platforms to include all (including UK) traders. - Online VAT fraud will be tackled by extending powers on overseas businesses, ensuring VAT numbers are displayed, introducing a split payment model and encouraging compliance by users of digital platforms. - No business will be mandated to use MTD until April 2019. Only those with turnover above the VAT threshold will be mandated at that point, and then only for VAT obligations. The scope of MTD will not be widened before the system has been shown to work well, and not before April 2020 at the earliest. - The government will reform the penalty system for late or missing tax returns, adopting a new points-based approach. It will also consult on whether to simplify and harmonise penalties. - The government will close the Certificate of Tax Deposit scheme for new certificates on and after 23 November 2017. HMRC will use new technology to recover additional Self-Assessment debts in closer to real-time by adjusting the tax codes of individuals with Pay As You Earn (PAYE) income. - The government will expand existing security deposit law to corporation tax and Construction Industry Scheme. What is the new T-Charge? From 7:00am this morning drivers of older, more polluting diesel and petrol vehicles registered before 2006 now have to pay the new T-Charge, which has come into force today. The T-Charge covers the same area as the existing congestion charge zone, increasing the cost to £21.50 for affected vehicles. 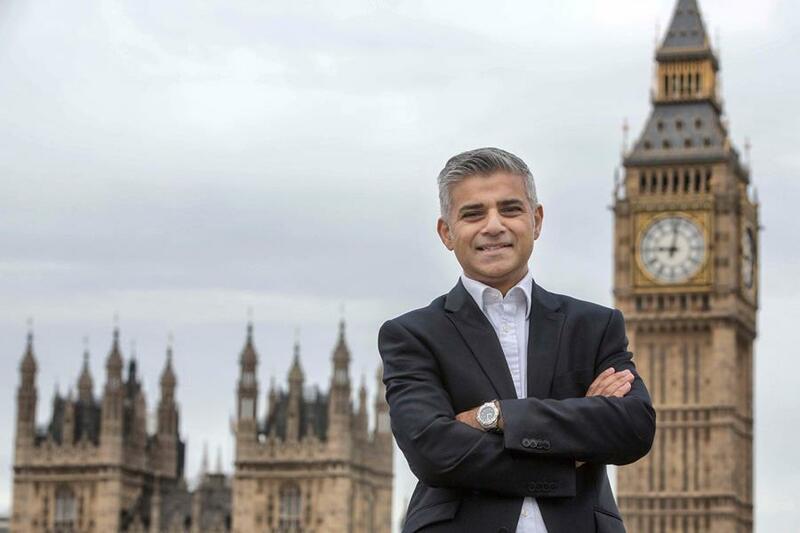 The measure is the latest attempt by Mayor Sadiq Khan to improve air quality in our capital and according to the mayor's office it will affect 34,000 motorists a month. Speaking on the Today programme, Mayor Khan said: "We've got a health crisis in London caused by the poor quality air. Roughly speaking each year more than 9,000 Londoners die prematurely because of the poor quality air - children in our city whose lungs are underdeveloped, with adults who suffer from conditions such as asthma, dementia and strokes directly caused by poor quality air." Mr Khan has described the introduction of the T-Charge as "part of a package of measures" being undertaken. 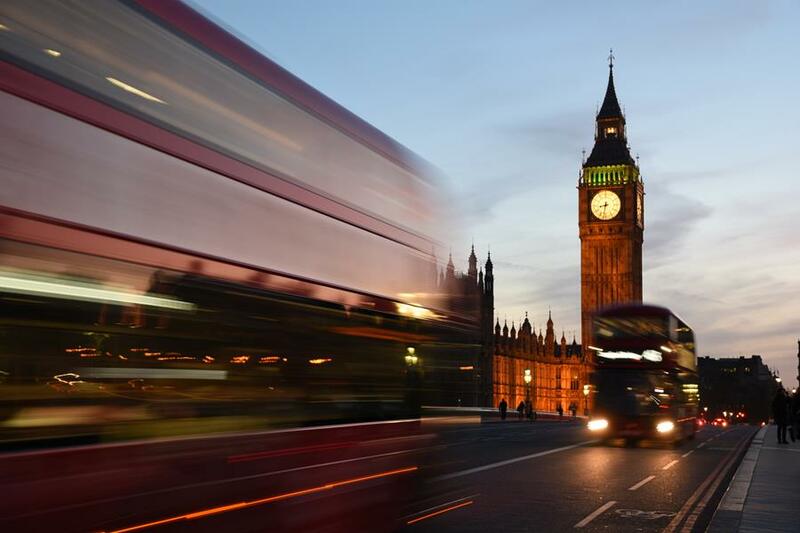 Opponents however, say the scheme unreasonably penalises London's poorest drivers. 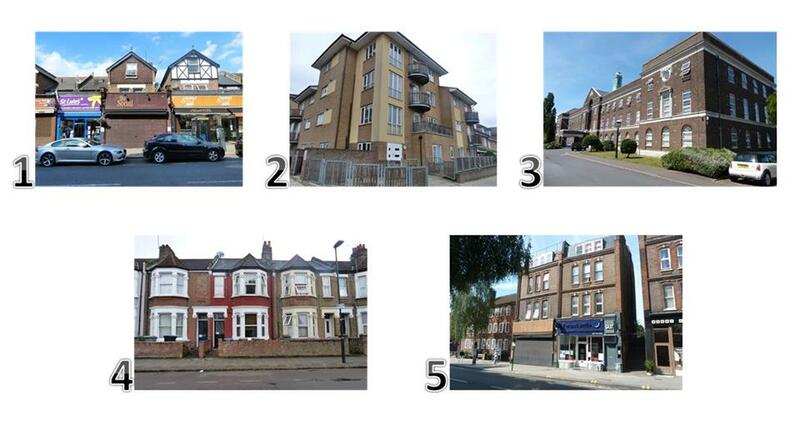 With affordability a major concern for most London homebuyers, we want to present you with 5 properties under £500,000. These gems offer a good start for those wanting to get on the housing ladder and also benefit from attractive rental yields for investors. Follow the links below for more information. Recent figures released this week showed that nearly one in four households in Britain will be renting privately by the end of 2021, as climbing house prices and stagnant wages increasingly make home ownership an unrealistic dream for many. However, it’s not all bad news for renters, the London rental property market continues to act as a brake on the UK as a whole, with rental inflation in the capital now running at -0.6 per cent a year according to the July HomeLet Rental Index. July was the fourth successive month in which London saw rents fall, and while the pace of decline is now slowing – July’s figure compares to a 2.9 per cent drop in June – the capital’s rental market still looks transformed compared to this time last year, when rents were rising at a rate of 6.6 per cent. With the buy to let market having seen major changes with new levies and fees that landlords are now facing, it has become an increasingly difficult balancing act between ensuring rents are affordable for tenants whilst covering their own rising costs. You don’t have to feel sorry for landlords, if you are out and about looking at properties to rent then it is likely that these properties are being offered at lower prices than the same time last year. If the price is not reflecting this change in the rental market then you can assume there is some scope for negotiation! So we recommend getting all your references prepared, have your moving in monies ready and present yourself in the best possible way to bag yourself a late summer bargain whilst you can! 1. Firm up on a realistic budget. Don’t start the search online or begin any viewings until you know what your parameters are. Think about outgoings, bills and other expense too. Starting with the wrong budget may only lead to disappointment. 2. Get first dibs on properties on your favourite streets. If you want something in a specific area or street, set an alert on Rightmove or Zoopla and it will email each time a vender lists a property. Simply type in your location and click 'Create an alert' on Rightmove, or 'Create email alert' on Zoopla. 3. Make a good impression. Don't forget, you're being checked out too. They're more likely to want a tenant that's professional, prompt and polite. 4. Take snaps when viewing. This makes remembering what you’ve seen easier and allows you to start thinking about any of the particulars like furnishing the space. 5. Get your references lined up. Landlords will need references (eg, from your employer), ensure you ask your referees in good time. 6. 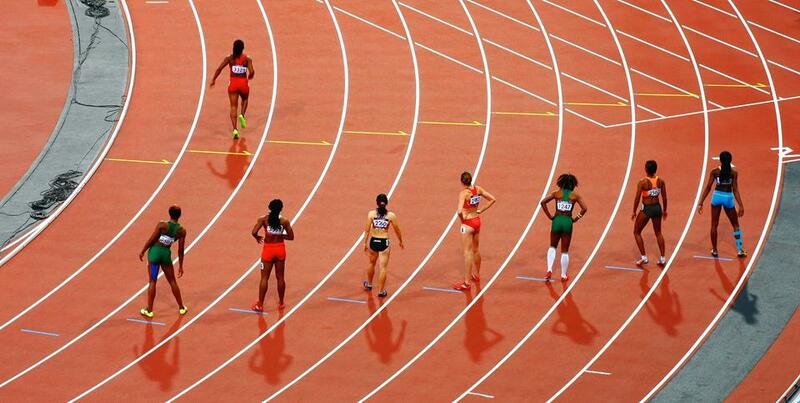 Be prepared to go fast. Good rentals are often snapped up, especially in sought-after city areas. Once you've decided, move quickly with your offer. Yet don't be irrational – stick to your budget and don't be pressured. 7. Go through the contract ASAP. Raise any issues as soon as you can with the landlord, so there's time to get them changed before you move in. Also check who's managing the property (ie, the landlord or letting agent). 8. Have the rent and deposit ready. Make sure you have enough cash set aside for the first month's rent and deposit (usually about six weeks' rent). This can be a lot more than you think, so work it out early. For example, £200/week rent could mean you'd need to put down about £2,000 to cover these. 9. Know where your stopcock is: Your mains water tap, or stopcock, is the off-switch for all the water in your home. Hopefully you'll never need it. But if you don't know where it is and a pipe bursts, you'll be powerless to stop it flooding your home. 10. Get Contents Cover Insurance: Landlords are responsible for buildings insurance but it would be an idea to get your own contents cover to keep yourself covered. 11. Get Landlord permission for any redecoration. Check your tenancy agreement before you get the hammer out. It's possible to get specially designed removable strips that promise to hold up pictures without damaging walls, eg Command Strips. 12. Ensure you have generous or unlimited broadband. If you're in a flat-share and you know everyone will be downloading, make sure you have decent download limit on your broadband package, or better still go for an unlimited package (most are anyway these days). 13. Give the place a good clean in order to get your deposit back. Normally an area of contention so best to do everything you can in advance to avoid any disputes. Get a scrupulous friend or family member to check the place over to check there's nothing you've missed, and remove all rubbish. So let us first start off by saying that both main political parties were neck and neck for most of their election campaigns. The Conservatives obtained the most votes, in comparison to the other parties, however not enough of a majority to form a government, meaning that we are set to see a coalition once again. The most likely Tory coalition is predicted to be with the DUP who hold 10 seats (this would bring the conservatives above the 326 seat majority threshold). In the local council Both Brent Central and Brent North which are both Labour strongholds, have successfully held onto their seats meaning that although the government is set to be controlled by the Conservative coalition the local council will remain under Labour control. With this we would like to congratulate our local Members of Parliament: Barry Gardiner and Dawn Butler and offer commiserations to all other candidates who put themselves forward as a candidate in Brent. We hope that the our elected representatives will do what is best for our community and local businesses and people living in the area. With Brexit negotiations to start within the next 11 day we hope that our government organises itself as quickly as possible to get our nation back on track with the tasks in hand including Brexit, National Security, and reducing national debt, to name just a few. The typical property cost 7.6 times average annual earnings of employees in England and Wales, the Office for National Statistics (ONS) said. The aftermath of the financial crisis saw affordability levels plateau. But now buyers face paying a record multiple of earnings as the affordability gap widens. In 2007, the typical buyer faced paying 7.2 times their earnings on a property, but this was surpassed in 2015 (7.4 times) and again in 2016 (7.6 times). The official figures will make gloomy reading for potential first-time buyers whose wages have stagnated and who now see property ownership become comparatively more expensive. However, borrowing costs are at historic lows with banks and building societies cutting interest rates on mortgages to attract customers. 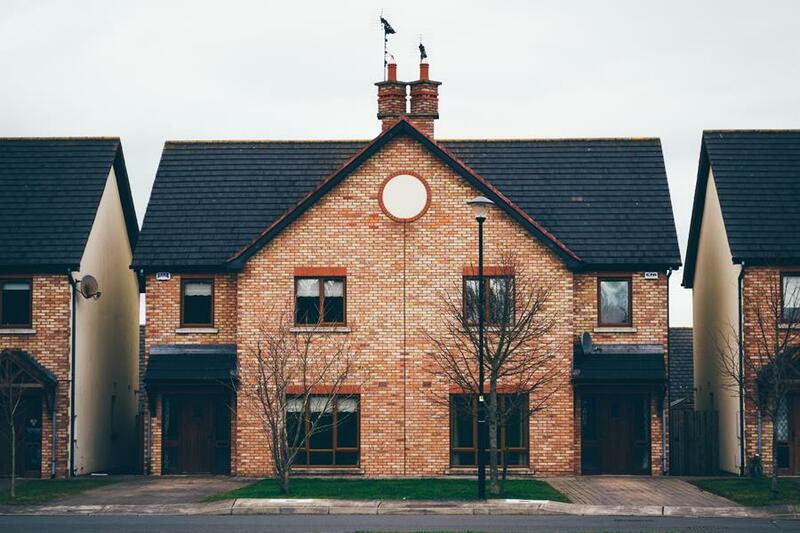 A recent report by Shelter suggested that nearly eight out of 10 families across England are unable to afford newly built homes in their local area. Northampton is the fastest-moving property market in the UK, according to analysis of listings on a property portal. Zoopla calculated the length of time that properties were listed on its website before being marked as under offer. Typically, among towns and cities across the country, properties in Northampton were listed for the shortest amount of time, 27 days. Milton Keynes (29 days) and Croydon (30 days) were next on the list. Regionally, properties on the site came under offer fastest in the South East of England and the East of England (42 days) compared with the longest - Wales - which took 66 days. The ONS figures show that London hosts seven of the 10 least affordable areas to buy a property in England and Wales last year. In Kensington and Chelsea, the typical property costs 38 times the average annual income of residents in the area. In 1999, a home cost 13 times typical earnings. Buyers in Westminster had to pay 24 times typical earnings for the area last year, and it was 21 times multiple in Hammersmith and Fulham. The name derives from the Anglo-Saxon Willesdune, meaning the Hill of the Spring, in fact it dates back to 939 AD. 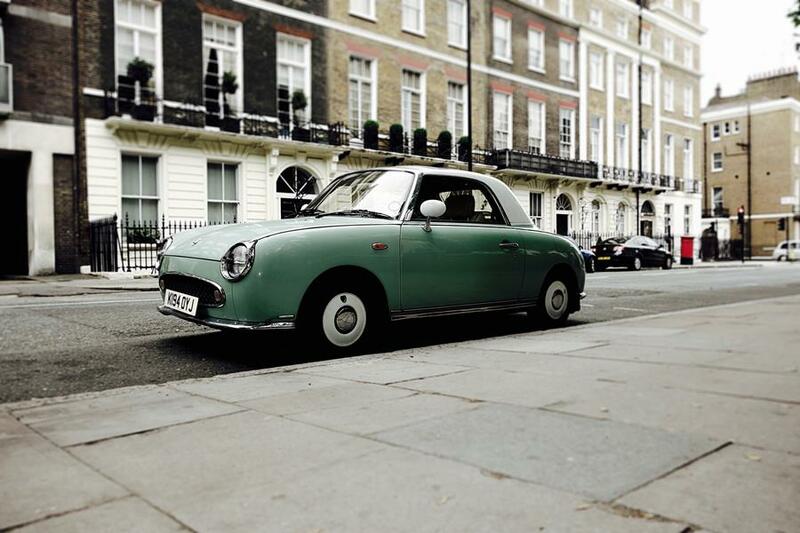 The Iris was a British car brand manufactured from 1906 by Legros & Knowles Ltd in Willesden. The Iris cars were luxury vehicles with large, water-cooled four-cylinder in-line engines. Between 1906 and 1908 a six-cylinder 40 HP was available, but it is probable that only one unit was built. A striking feature of all models was the diamond shaped radiator grille. In 1923, the specialist coach builder Freestone and Webb established their base in Willesden, producing bespoke cars on Rolls-Royce and Bentley chassis until 1956. 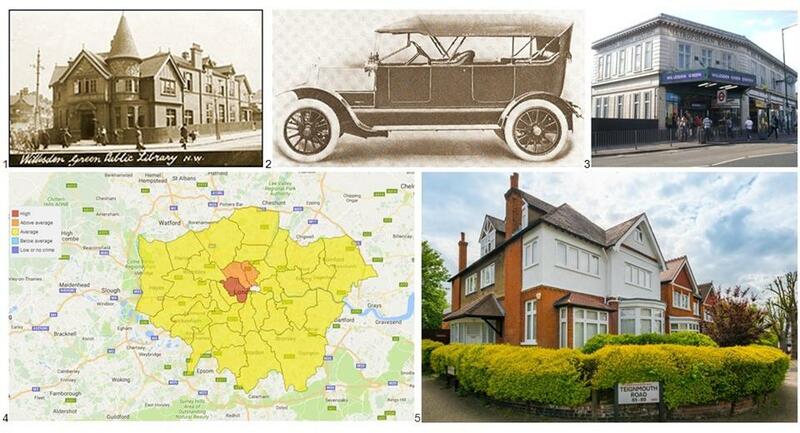 World War I caused Willesden to change from a predominantly middle class suburb to a working class part of London. Willesden suffered large damage due to the heavy concentration of industry, such as munitions factories, and railways in the area. Many factories opened up after the war and it is at this time that the area became predominantly working class, including Irish, Jewish and later people from the Indian sub-continent. The area surrounding Willesden Green station has become more middle-class and gentrified with marked property price rises in 2015 and 2016. There has been year on year drop of all crime in the Brondesbury park area (combing robbery, theft, violence sexual behaviour, drugs, vehicle and antisocial behaviour). Crime data from Home office Communities and Local Government show a -12 point drop for every 100 reported incident. Brent as a borough has a lower crime rate than plush areas including Kensington and Chelsea, Hammersmith and Fulham, Greenwich, Camden and Westminster (this borough has the highest crime rate not only in London but in the entire nation with 1,580 crimes reported per km2 in a year). 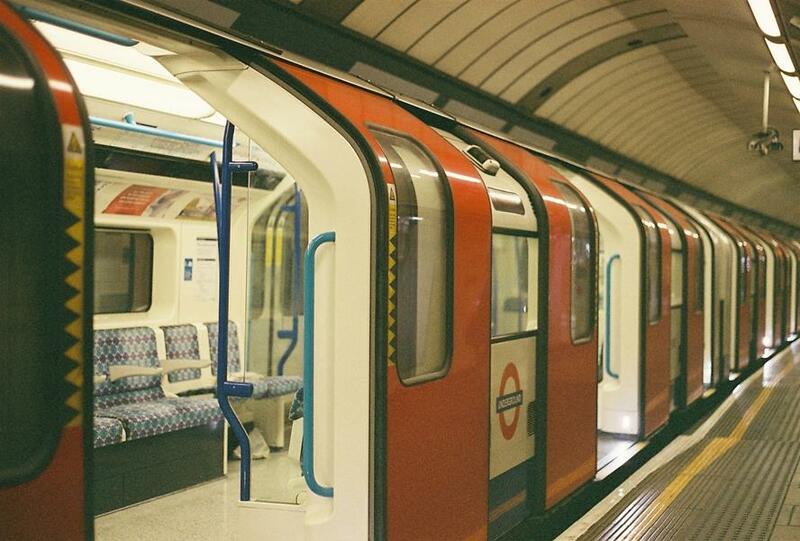 Today, north-west London is witnessing a new era of railway improvement, while the legacy of the pioneering Metropolitan Railway, perhaps the greatest of the Victorian-era train companies, is still producing property ripples. Buyers in Kensal, once displaced from Notting Hill and Holland Park, are moving into Willesden Green and the fringe areas such as Harlesden. Urban redevelopment plans are underway for neighbouring Cricklewood too. If you’re interested in properties in the area check out what properties we have available. Christmas is the season for family, togetherness, visiting friends and enjoying all the festive cheer. Ironically, even thought we have a famous character called Santa Claus who goes around at Christmas with a big bag full of gifts, a burglar is not the first thing you think of at Christmas. However, Christmas is a burglars favourite time of year. 1) Ensure all of your doors and windows are locked, this is number 1 priority as most thieves are opportunists, they look specifically for properties with open windows and doors, if your property is unsecure they are more likely to make you their next victim . 2) Be careful of what you put on the internet, (this is one that you might not have thought of). Potential burglars look through posts seeking out information on the types of gifts people have received, or when they plan to leave their homes for Christmas shopping or for vacation. 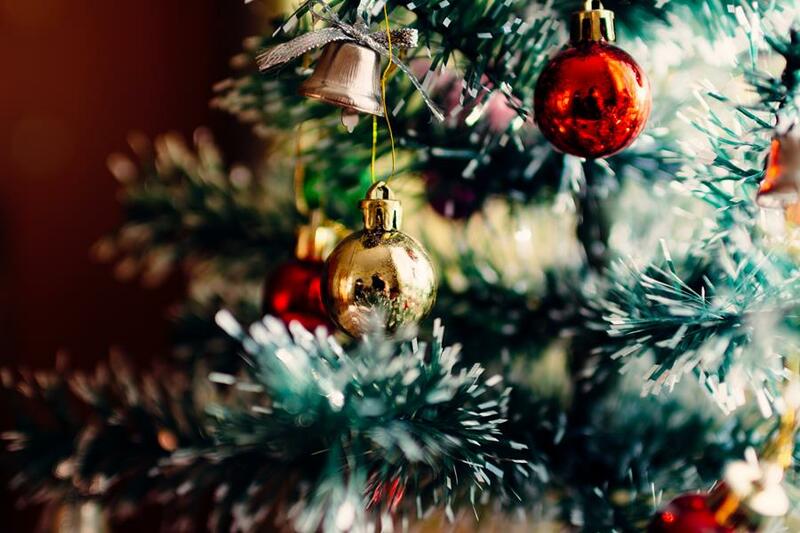 3) Make sure that your gifts are not visible from the outside, Its nice to see presents under the Christmas tree but if the tree is near a window, the gifts offer burglars with a tempting invite so try to keep presents out of sight. 4) Don't discard your empty gift boxes in your bin or outside your home. This is the same as putting a sign up for a burglar saying look we have a brand new...computer, DVD player, TV, etc. Burglars appreciate knowing that you have expensive gifts inside for them to steal. You bring the boxes down to your local recycling centre or break the boxes down to conceal the items better. 5) If you are going away make your home look like someone is in. There are a number of way to do this including, using automatic timer-switches to turn your lights and radios on when it goes dark. Also make sure you cancel any newspaper or milk deliveries. Mail sitting on your doorstep is also a sign that you are away, a trusted neighbour may be able to help you by collecting your post, opening and closing curtains and they could park their car on your driveway. 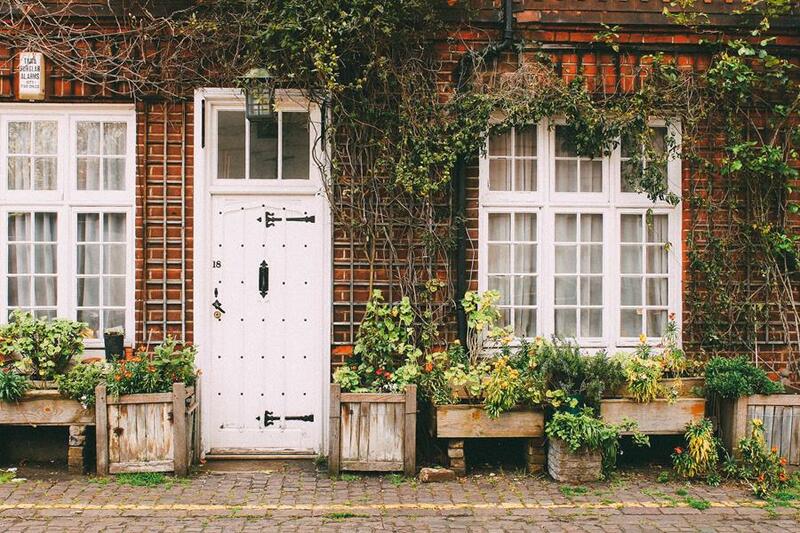 The Chancellor of the Exchequer has announced plans for Estate agents to be banned from charging fees to tenants and that he wants these changes to come into effect "as soon as possible" under plans announced in the Autumn Statement. Tenants can be charged fees for a range of administration, including reference, credit and immigration checks. Tenants face charges when agents draw up tenancy agreements along with the possibility of a non-refundable holding deposit paid before signing up to the deal. Mr Hammond also announced plans to increase the construction of affordable homes. It is estimated that at least four million people of working age in England would need affordable housing by 2024, according to the Local Government Association. The average first time buyer paid just under £30,000 for their new home in the 1980s compared with more than £150,000 now, according to the Resolution Foundation. In the year to the end of June, local authorities built 1,500 homes in England out of a total of 131,370 - that is just over 1%. Crucial details are yet to be revealed in the Treasury’s small print, but at lunchtime the Chancellor, Philip Hammond, confirmed the ban, which marks a U-turn for the Government. The Prime Minister Theresa May has previously voted against a ban on fees, while housing minister Gavin Barwell has called it a “bad idea”, saying that landlords would simply raise rents. The Government’s line has so far consistently been that it will keep under review the legal requirement for agents to display their fees openly both on their websites and in their offices. He said that the Government was not afraid to intervene where there had been “market failure”. The concern in the industry will be if the ban does not come in for several months, as this could stall the lettings industry with tenants deciding to delay their moves. Earlier, ARLA reacted with outright dismay. David Cox, ARLA’s managing director, said: “A ban on letting agent fees is a draconian measure and will have a profoundly negative impact on the rental market. It will be the fourth assault on the sector in just over a year, and do little to help cash-poor renters save enough to get on the housing ladder. This decision is a crowd-pleaser, which will not help renters in the long term. “All of the implications need to be taken into account." “Most letting agents do not profit from fees. Our research shows that the average fee charged by ARLA licensed agents is £202 per tenant, which we think is fair, reasonable and far from exploitative for the service tenants receive." Alan Ward, chairman of the Residential Landlords Association, said: “This will not help tenants, especially those who are ‘just managing’. “Agents’ fees have to be paid by somebody. If any extra fees are passed on to landlords, tenants will end up paying them forever as market rents will increase. Isobel Thomson, chief executive of the National Approved Lettings Scheme, this morning sent an email out to all NALS members describing the ban as “an easy political win but one which directly affects your business”. 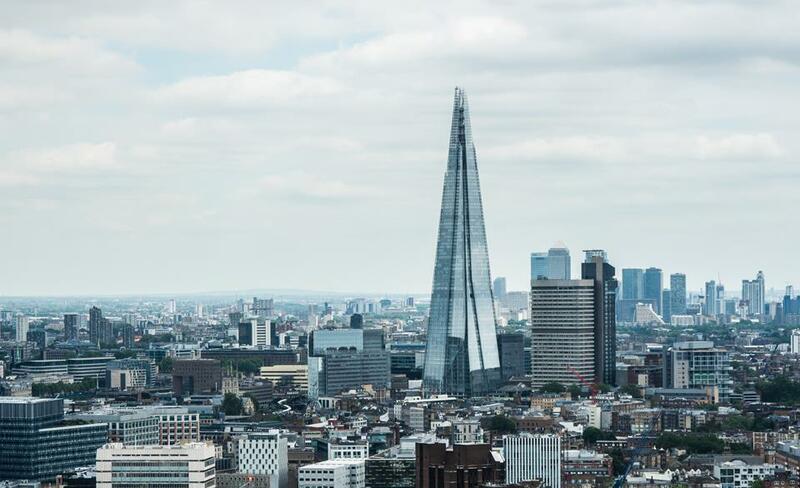 A recent article in the Evening Standard suggests that average London rents are forecast to increase by 24.5% by the end of 2021, compared to a 19% increase in the rest of the country. They suggested that the renewed stress on rental prices will be caused by potential first-time buyers being forced to rent as housing market conditions will get tougher. However, there are expectations that interest rates will remain low for some time yet, keeping borrowing costs low, which should prevent house prices from falling across the country generally. “Despite the gloomy predictions, the average property value in London, currently £481,000, and is expected to increase by 11 per cent over the next five years. (That means the average property in the capital by the end of 2021 is expected to be worth £533,400)” the article suggests. Gladstone Park is ninety-seven acres of parkland woodland, hedgerows and open ground, all of which change with the seasons. and there is an additional twenty-seven acres of open space. It is the most used park in Brent and is a holder of the Green Flag Award. The award is based on high environmental standards, community involvement and quality of green space. 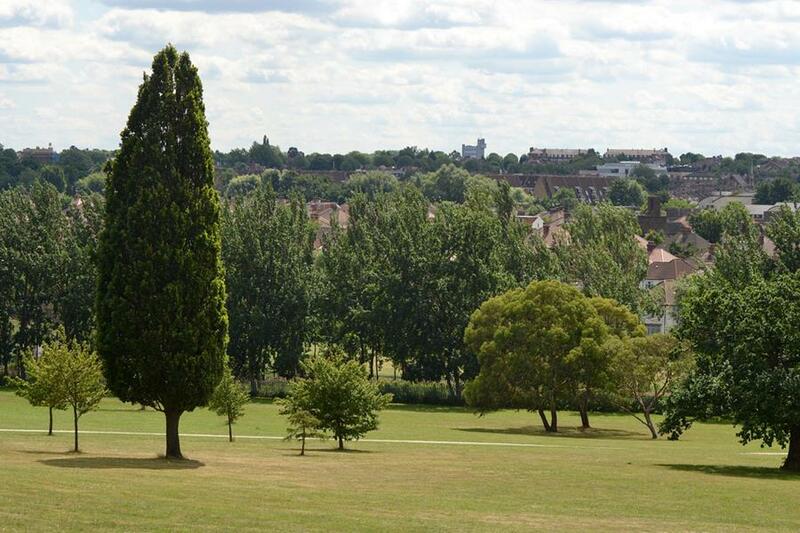 The park is situated in-between Cricklewood, Dollis Hill, Neasden and Willesden meaning that residents of all four areas benefit from the park and can also use it as a shortcut to walk or cycle between these different areas. Gladstone Park also has a rose garden, duck pond, tennis courts and offers beautiful views of the surrounding area including Wembley Stadium, and on a clear day there are views of Parliament, the Shard and the London Eye. The UK are off to a good start and have already started to collect Gold and Silver medals, with many more predicted before the end of the tournament. Some competitors from other countries however have already been eliminated from the competition due to fractures, sprains and breakages, especially the French gymnast who unfortunately broke his leg and will no longer be able to participate in this years games. We would like to take this opportunity to wish all of our athletes representing Great Britain in the Olympic Games the very best of luck, safe travel and plenty of gold medals. Finishing third in their group and winning only once inside the 90 minutes, might not have made Portugal the pundits favourite. 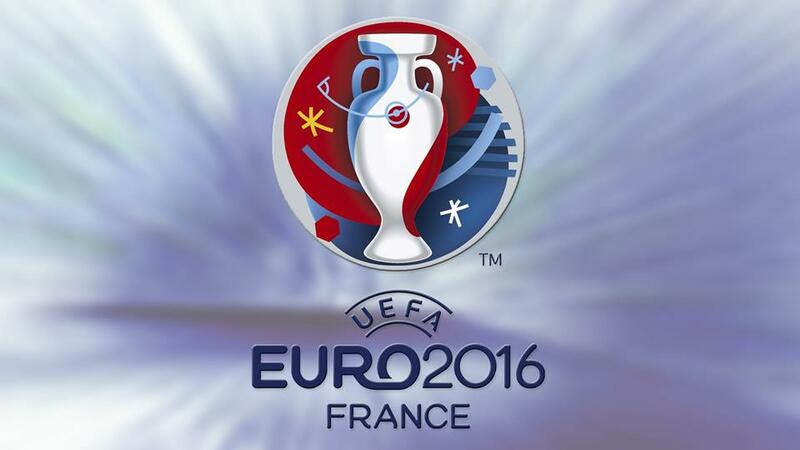 However Eder secured their victory last night at the Stade de France. The Portuguese team are now the champions of Europe. France failed to rise to the challenge, it was a very disappointing game for the French fans who believed that there dream was so close to reality. Portugal finished as the stronger team and Eder's strike was worthy of winning any game. 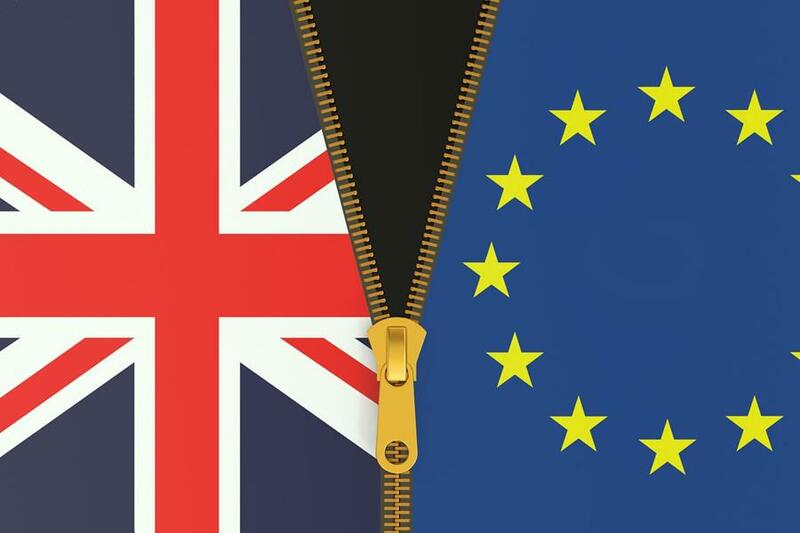 The United Kingdom's decision to leave the European Union has hit the property sector over the past week, with a some banks freezing loans for buyers and some investors pulling out of deals. Some overseas investors, however, are making the most of the drop in the pound to buy what they see as residential bargains. Properties in London are a magnet for foreign investors, and as a result of this, prices in the capital have sky-rocketed. Britain's June 23 vote to leave the EU has already caused the government to collapse and deeply divided the country. Regardless of the referendums outcome to leave the EU, it is widely predicted that the property market and financial sectors will stabilise and that the effects will only be short-term. The day is finally here, today is the referendum on the United Kingdom's membership of the European Union. Polling stations in the UK will be open from 7am - 10pm. We are keeping a close eye on the property market and await the outcome tomorrow. 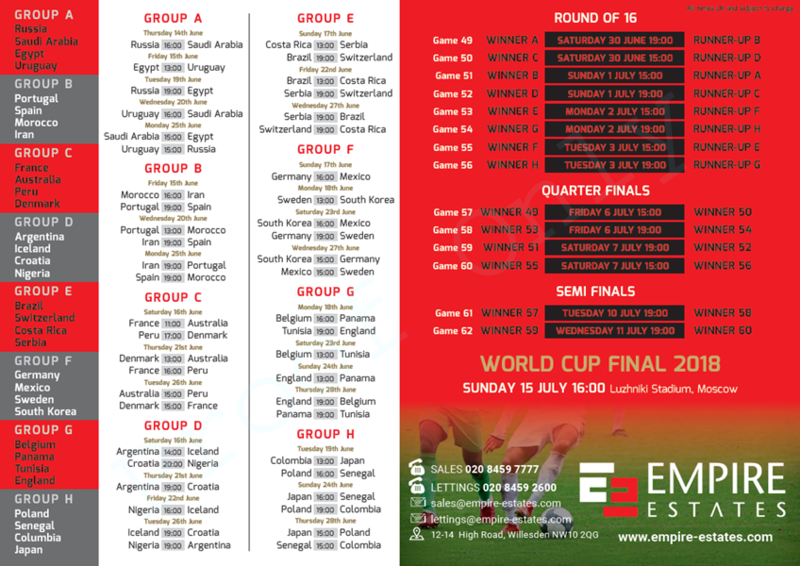 As the Euro 2016 football tournament is here, we eagerly wait in anticipation to see who will get past the group stages. 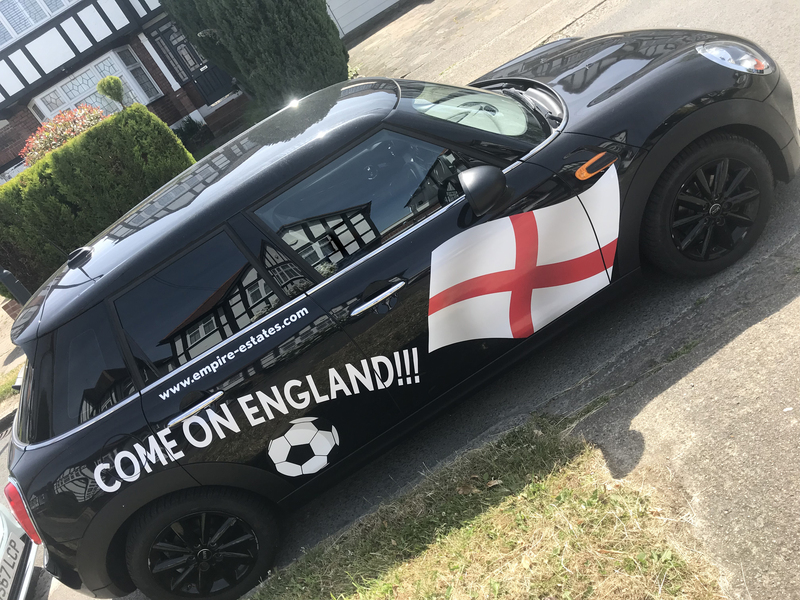 All of the staff at empire estates have got their personal preferences of who they would like to see in the final however if moving is your goal then contact us at empire estates or give us a call on 020 8459 2600 to find out why we are a winning team. Before arranging to view any properties work out your budget. The more realistic and honest you are about what you can afford, the easier and quicker it will be to choose a property. A good location is one where people want to live, it doesn't need to be the cheapest or the most expensive area. You should choose an area that has the most potential for the future. 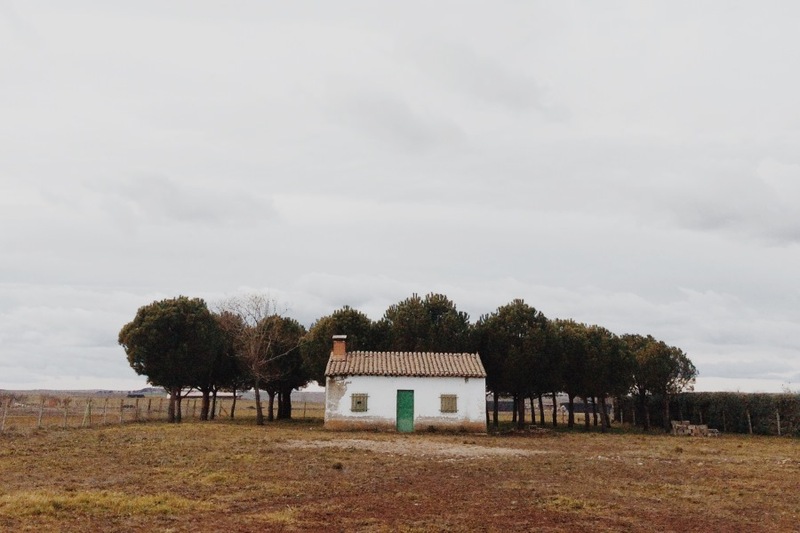 The type of property you are looking for may also influence your choice of location. The type of property is an important consideration. Find a type of property which will appeal to you and your lifestyle choices. One type of property to consider is a new build property as they generally have less repairs to carry out, however will need to weigh this up with the character features and charm the older properties have to offer. If you have young children it might be a good idea to find a property with a garden or outdoor space. Likewise if you are a professional couple an apartment within close proximity to a tube station might be a better option. All our properties are On The Market, is yours? 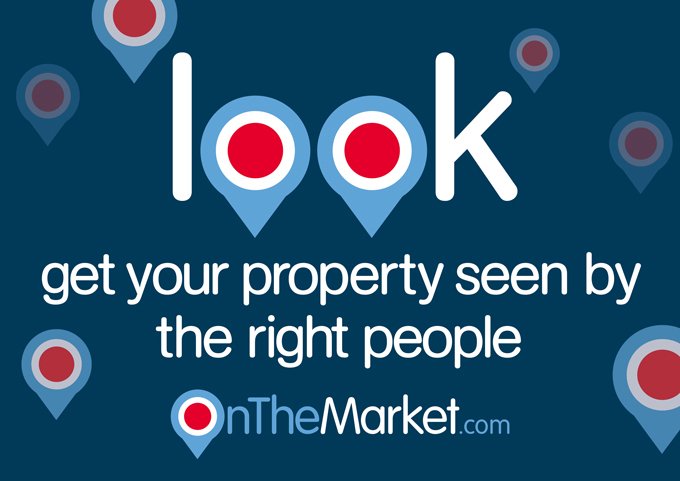 OnTheMarket.com launched in January 2015 is the state-of-the-art way to search for property. When you search OnTheMarket.com, you'll enjoy our cleaner, fresher, more focused approach. No irritating ads, no unnecessary information, no spam mail and no nonsense. If you're selling or letting a property, choosing an agent who is a member of OnTheMarket.com means that your property will not be mixed in with homes being marketed by remotely located, part service "internet-only" operators or directly by private sellers or landlords. Every property you see at OnTheMarket.com is on the market with full-service, office-based estate or letting agents who are experts in their local area. Sadiq Khan announced as new Mayor of London. Congratulations are in order for Sadiq Khan who beat his Conservative rival Zac Goldsmith by a total of 315,529 votes. Mr Khan received 1,310,143 votes compared to Mr Goldsmith's 994,614 votes. In Sadiq Khans manifesto he pledged to tackle the housing crisis, build more affordable homes, freeze transport fares, improve Londons air quality, and improve the quality of lives of all Londoners. The weather is finally improving and the days are getting longer. 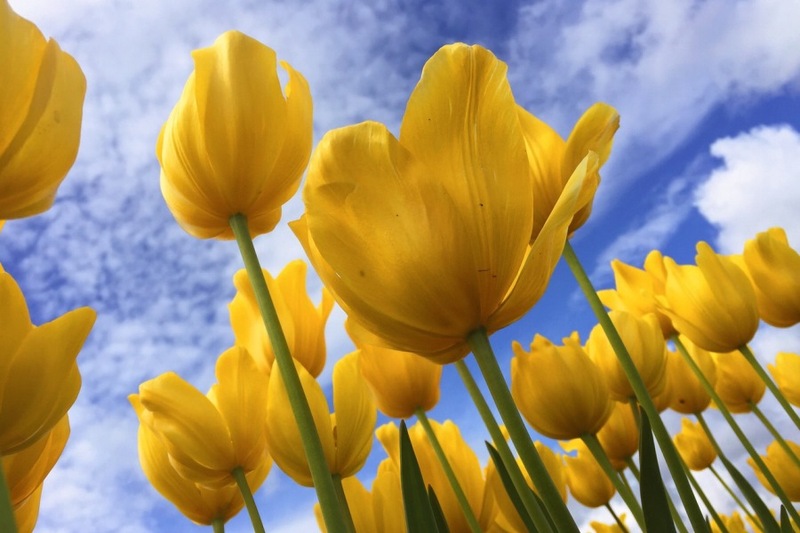 But that is not the only positive, Spring is a great time to Sell or Let your property. The number of potential buyers and tenants are increasing as many people want to move in before the summer. 1) Let the outside in, take down net curtains during viewings, have blinds open and open windows where possible. 2) Remove clutter, and de-personalise, this also gives you the opportunity to safely put away any fragile or valuable items. 3) Clean Up, Make sure the property is nice and clean, regardless of its condition, also make sure the property smells clean. 4) Hide Pets, If you have a pet make sure they are out of the way during viewings. Unfortunately pets put a lot of people off. 5) Presentation, make sure the grass is cut in the gardens, that the front door is freshly painted and that the internal walls are all painted in neutral colours. 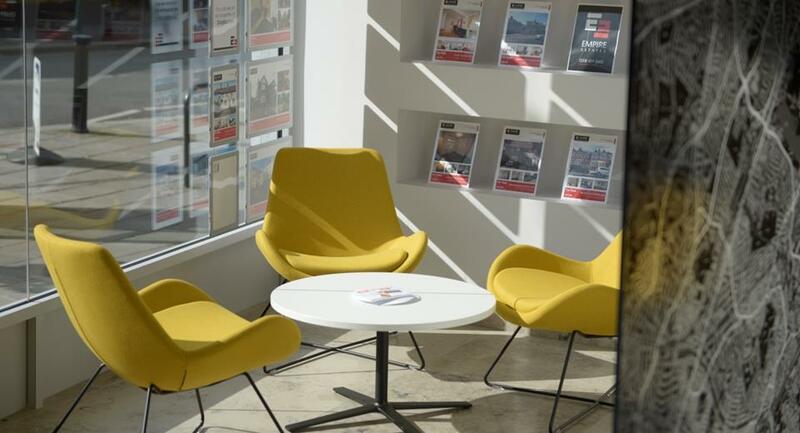 Always remember that first impressions count, if you need any help or advice about marketing your property for sale or to let, please do not hesitate to contact us on 0208 459 2600 for a free market appraisal. The Stamp Duty changes have come into effect from 1st April 2016. The changes are beneficial to first time buyers who will benefit from change in the way stamp duty is calculated. However, the changes will have a negative impact on Buy to Let investors and existing property owners who are looking to purchase a second home (which will not be their main residence) as the people who fall into this category will have to pay an additional 3% in Stamp Duty Land Tax. The government have made these changes to encourage first time buyers to get onto the Property Market and to try to reduce the number of buy to let landlords, who the government feel are taking over the property market. The property market is moving, are you? As the property market is starting to pick up once again why not make a change, we have already begun to see an increase in the number of new properties on the market. It has been predicted that 2016 will be a good year for the property industry, this has been linked to a number of factors, including the changes to the stamp duty affecting landlords and investors. 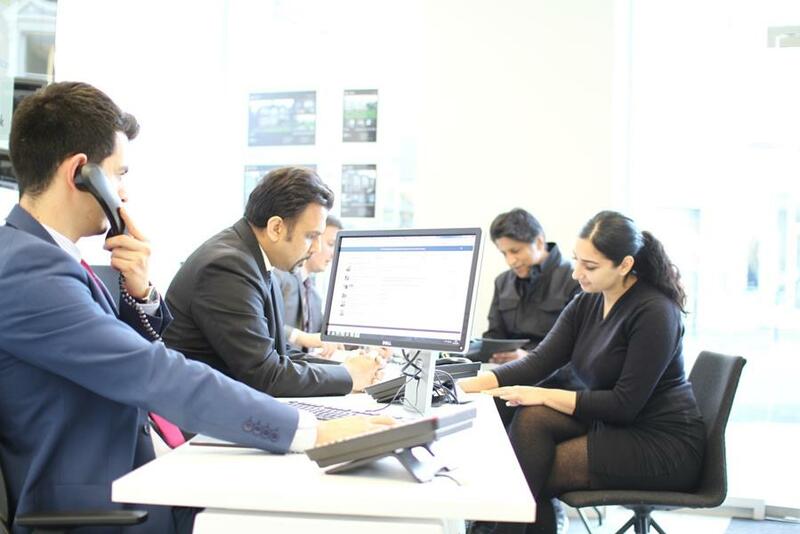 A growing number of market experts feel that the stamp duty changes will cause a large number of property owners to either sell or buy property prior to the changes taking place in April 2016. In recent years especially in Willesden Green and the surrounding areas we have seen many changes and improvements including improved transport links, with the Jubilee line is now operating 24 a hour service on weekends, there is also a number of night buses and 24 hour bus routes. This has also been one of the reasons that such a large number of people have decided to move into the area, stretching the property market even further, which subsequently led to an increase in both sales and rental figures within the area. As technology advances, so have we! 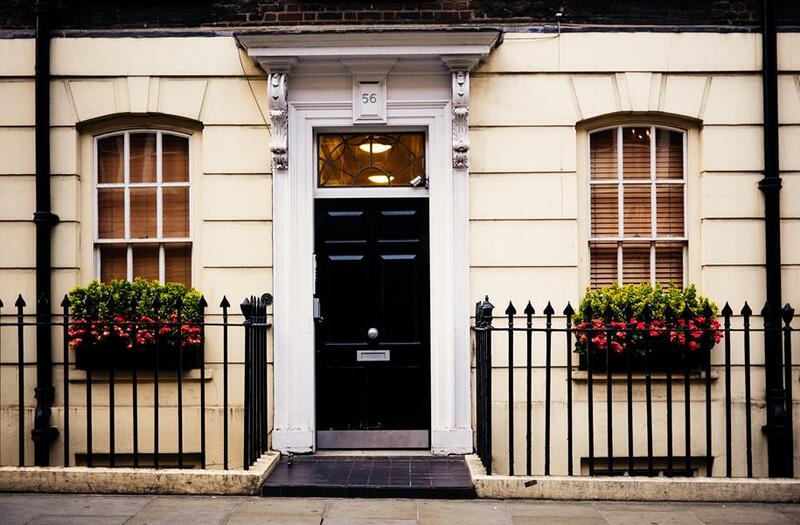 On our Blog we will look to provide informed expertise on a range of Property related matters, with over 50 years combined experience in the property industry and Our Offices being based in Willesden Green for the last 20 years, we feel this gives us a lot more insight to the local area in comparison to many new and inexperienced estate agencies appearing in the area. 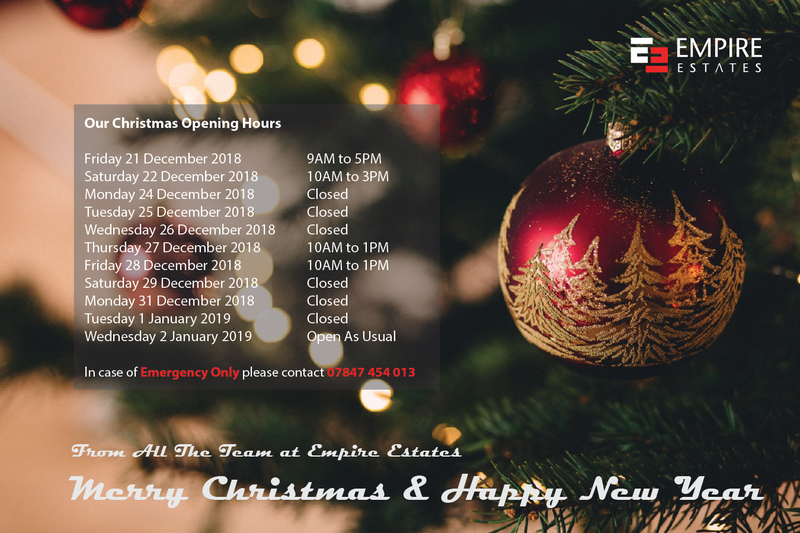 For professional and reputable advice please do not hesitate to contact Empire Estates on 0208 459 2600 and we will be happy to assist you with your enquiry using our local knowledge and years of experience. What’s DHSS, Why many Landlords won’t accept it, and why it’s the 1st choice for others? Recently we have made some changes to align with recommendations from NLA and RLA relating to the prevention of blanket bans against tenants in receipt of housing-related benefits (commonly known as DSS or DHSS). These changes will be implemented by the end of April 2019. We believe that all tenants looking to rent a property deserve the chance to be fully assessed for their suitability and matched to a home that suits both their and the landlord’s circumstances. While change is never easy, we are leading the way on this issue to ensure that we provide our clients and tenants with a service that is fair. The dilemma of whether to accept tenants on housing benefit is one which many landlords struggle with. Others resolutely refuse to do so whilst some landlords welcome DSS tenants. As with anything, there are arguments for and against. The biggest benefit is that Tenants on DSS often stay longer. Unlike a young professional who may be on the move every six months, tenants on benefits tend to want the stability of a long-term lease. Long-term tenants are easier to manage and provide constant cash flow. If the tenant moves off benefits they are still likely to stay on. Guaranteed income is an obvious attraction. The local authority pays the rent. 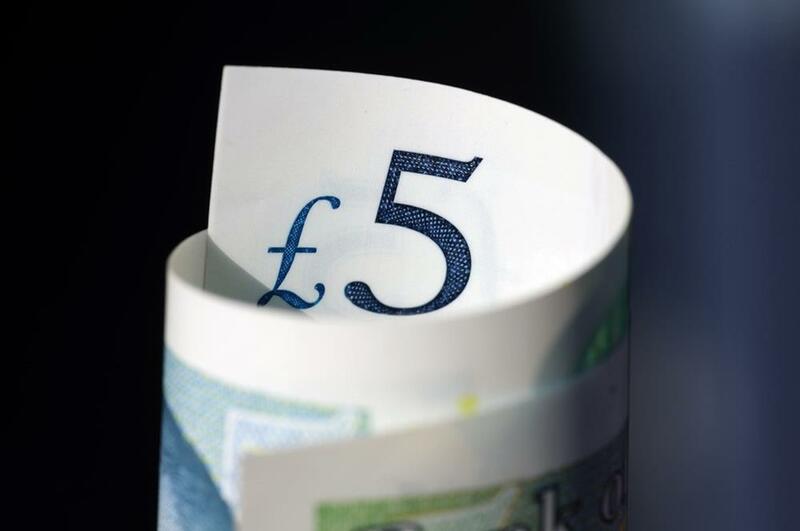 It is this promise of steady cash flow which appeals to many landlords. However, there are also downsides to this which we'll mention later. Constant occupancy is also a reason to consider tenants on housing benefit. Social housing cannot meet demand. This means there is always a queue of DSS tenants for the private landlord willing to accept them. It is this demand which appeals to landlords who may have invested at the lower end of the market and may be struggling to find tenants. Even the less salubrious locations will be in high demand from DSS tenants. An imperfect system, it's fair to say that most issues arise not because of the tenant but because of the system. Anecdotal evidence suggests landlords face a struggle with the way the housing benefit works for tenants who rent in the private sector. The Local Housing Allowance is paid by the local authority which administers the system. And it's fair to say standards and operating procedures vary around the country. Landlords have reported problems such as payments being irregular. That staff can be difficult to deal with and there is a lot of form filling. Rent payments can also be an issue. It is the tenant and not the landlord who receives the rent payment. It is then their responsibility to pay the landlord. Another barrier to the positive cash flow which we described earlier as a benefit is that often the benefit paid to the tenant will not be for the full amount of rent. It is up to the tenant to make up the shortfall. Some will not be able to do this leaving the landlord out of pocket. In the vast majority of cases, this won't be an issue but if you are unlucky enough to have a bad apple the tenant may simply pocket the cash. Many tenants will not be able to pay a full deposit. And local authorities are unlikely to be able to help. Letting to tenants on benefits may mean you having to accept a reduced deposit. There is a widespread preconception that all DSS tenants will either default with the rent or trash the property. Undoubtedly there will be some tenants like this. Just as there are amongst any other group of renters. But to disregard all tenants on housing benefit for the actions of others doesn't make sense. Other things to consider include insurance and your mortgage agreement. Some buy to let mortgages preclude landlords from renting to tenants on housing benefit. Insurance premiums can be higher for DSS tenants. Obvious this needs to bear in mind when deciding whether to accept tenants on benefits. So, Should you rent to tenants on Benefits? Without wanting to be accused of sitting on the fence this really is a decision for each landlord. DSS tenants will suit some but not others. But make your decision on business principles. Not on presumption and scare stories.